Panasonic Toughbook CF-U1 MkII computer - built very tough! The Panasonic Toughbook CF-U1 MkII won’t win any design awards based on aesthetics, but in the category of computers designed for tough use in extreme conditions, it’s a winner. It’s a ultra mobile personal computer (UMPC) that has been shock-tested for a 120 cm free fall, it has 7 built-in antennas for maximum coverage, and with dual hot-swappable batteries you can get around 9 hours battery life. Mark Wallis, Group Manager, Toughbook, Panasonic Australia, said the Toughbook CF-U1 MkII takes the U1 to the next level and builds on the company’s reputation as an innovator in rugged technology solutions. “The continual improvement of the CF-U1 demonstrates Panasonic’s commitment to providing rugged and reliable mobile computing technologies to withstand even the most challenging conditions and environments,” said Mr Wallis. “The CF-U1 MkII is perfect for Australian mobile field workers who need a lightweight, compact and durable computing solution that gives them excellent access to information and full PC functionality. With nine hours of battery life and dual hot-swappable batteries, users can be safe in the knowledge that their information is easy to access and secure throughout their working day,” Mr Wallis continued. 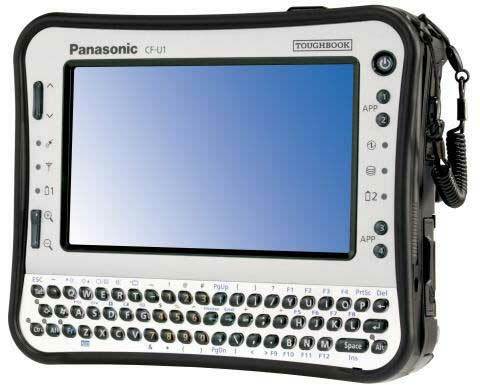 Panasonic Toughbook CF-U1 MkII has an RRP of $3,499. Optional extras include Options a camera, fingerprint reader and Smartcard reader, Magstripe reader allowing credit card payments to be taken in the field, and a barcode scanner or RFID for asset management.